My initial instinct when I saw the animal print prompt was leopard print. I loooooove leopard print! After thinking about it I thought this would be a great chance to do something completely different. I had a polish I wanted to show off so I did something….then redid it…..and redid it again…and by the 4th time I was about ready to quit the whole challenge. I realised then that I had to put away the polish I wanted to show off and not base the prompt on that colour alone. So after a little consultation with Thea and google I finally found 3 options. The one I ended up with was the one that visually appealed to me the most but the other 2 were definitely more intricate and detailed. We all know how I struggle with freehand so after trying all 3, this one won. 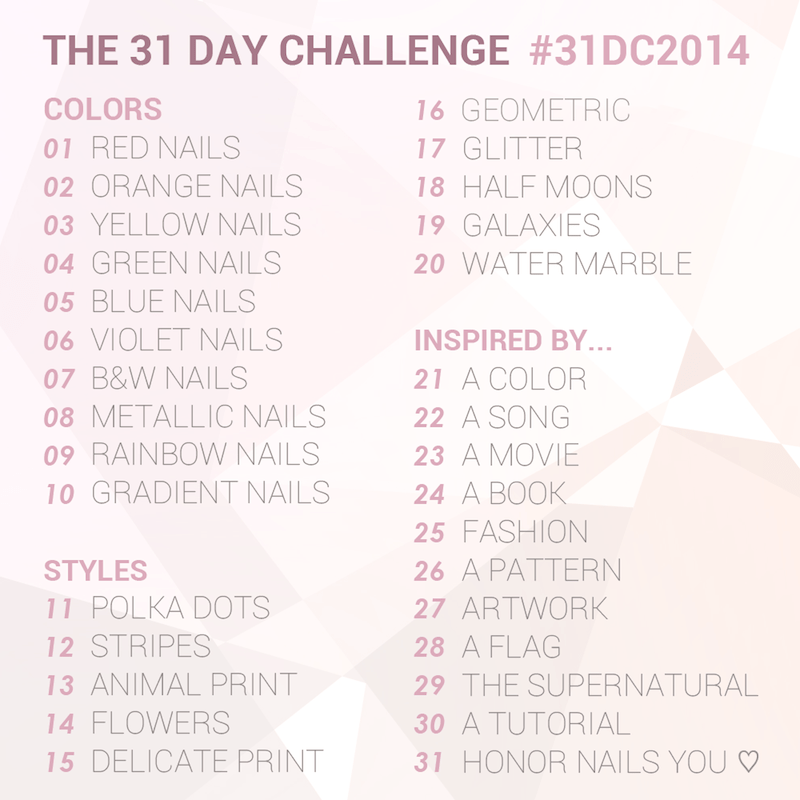 I love the visual but I didn’t think it was the most challenging nail art wise. Nevertheless, an animal print is required and an animal print is what we have. I wanted the base to be the colour that it looks in the image above. In close up images you can see other stuff going on there. I just wanted to get a base colour kind of similar so I used Sinful Colors – Ciel and Sinful Colors – Unicorn and used the saran wrap technique. There isn’t a big contrast between the colours so it isn’t super visible but does give the exact appearance and colour I wanted. It’s not quite yellow but not quite grey. 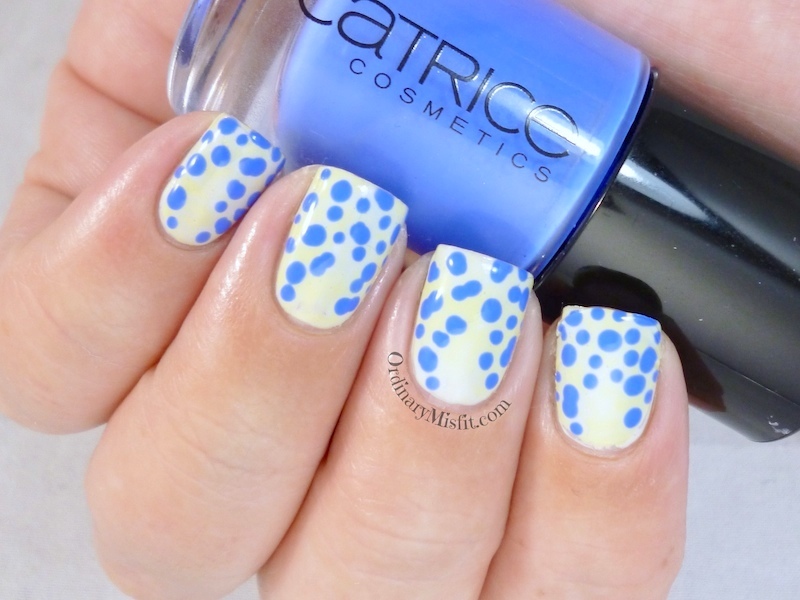 When that was dry I used Catrice – It’s all I can blue and a dotting tool to make the markings. I wanted to leave the middle near my cuticle empty of marking as the ray has the same pattern all around but the empty spot just above the ‘tail’ and the top of the tail. 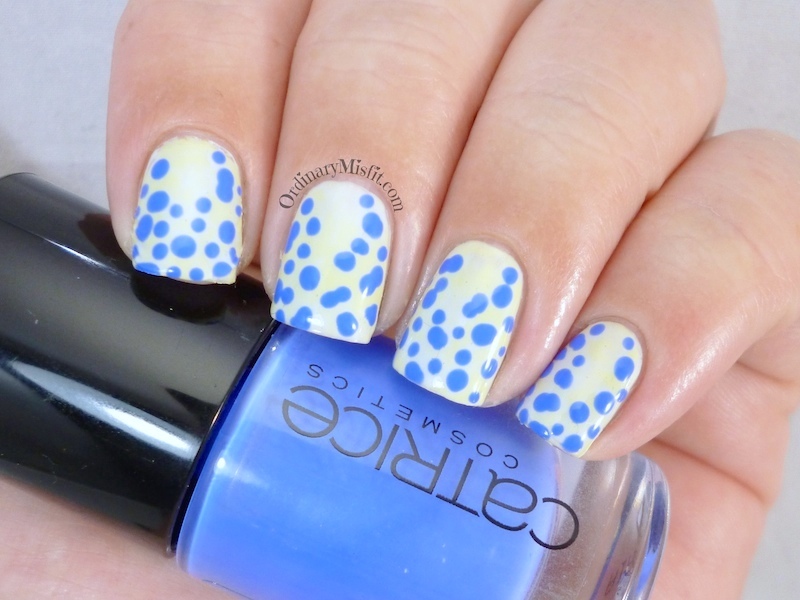 I initially used a tiny piece of sponge and sponged the blue marking on but when I looked at the picture again I realised the blue marks are much more polka dotty – even though not perfect polka dots – than smudges. I don’t think I nailed it perfectly but it is definitely better than the sponged version. See what I mean by it not being intricate or complicated? Anyway, let me show you the polishes I used. This is 2 coats with no topcoat. It is quite streaky on the first coat and if you’re careful it will even out beautifully on the second. It’s one of those where it needs just a little bit of a longer wait between coats. If you find the second to be still streaky or uneven a third will definitely be the limit. It’s a beautiful colour. This is 2 coats with no topcoat. I think this is a very light grey but others might see it differently. This is such a nice formula. Doesn’t streak and applies really well. Two coats is definitely enough. This is 2 coats with no topcoat. 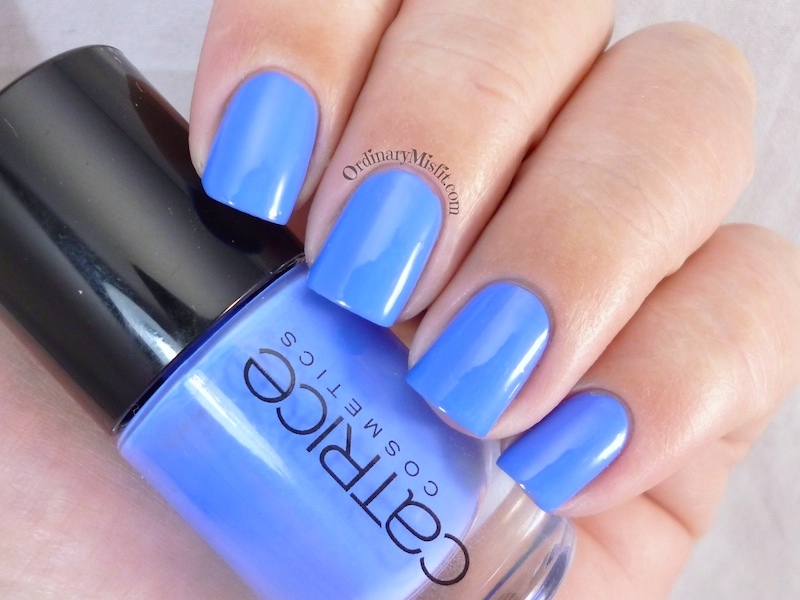 This is one of my favourite blues. Amazing formula and opacity. It’s almost a one coater. So what do you think of my animal print? 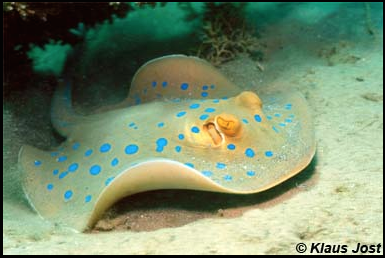 Even though my interpretation might not be spot on, don’t you think that is a beautiful animal (to look at)? I like that it’s something different. I probably would have just done leopard, haha.